The newest Uncharted title, Uncharted: The Lost Legacy, arrives next week and despite the campaign featuring two protagonists, there's still no sign of campaign co-op. 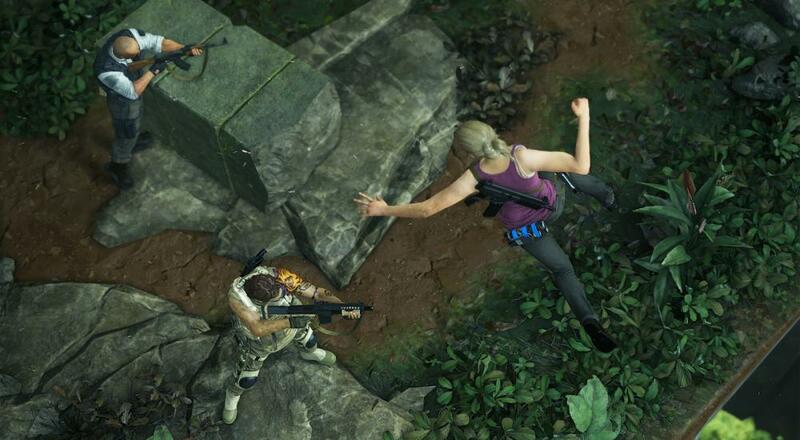 However, the game does feature the same multiplayer/co-op Survival modes as Uncharted 4: A Thief's End, which will be receiving an update next week to add a new co-op mode. ...[A]dds over 100 new waves with new enemy types, new Siege zones, and all-new wave modifiers. Survival Arena offers thousands of potential encounter combinations for you and up to two additional players to take on. For your efforts, you can also earn our new Savage Starlight Skeleton skins, unlockable through Survival Arena. The other good news here is that the Uncharted: The Lost Legacy and Uncharted 4 co-op/multiplayer communities are "unified, so regardless of which game you own, you can team up and play with your friends." Uncharted 4: A Thief's End is available now on the PlayStation 4 for $39.99. Uncharted: The Lost Legacy arrives next Tuesday, August 22, and is available for $39.99 as well. Page created in 0.6251 seconds.